I’ve been on a bit of a booking frenzy, and will be playing a bunch of new venues over the coming months this spring and summer! Some are outdoor shows, some are duo or trio, but all are at great places, so I hope to see you at any that you can make it to… Without further ado, here are the new spots, in chronological order..
A unique, cozy British pub in Bernardsville with an outstanding beer list and excellent modern comfort food. Irish pub in downtown Metuchen. 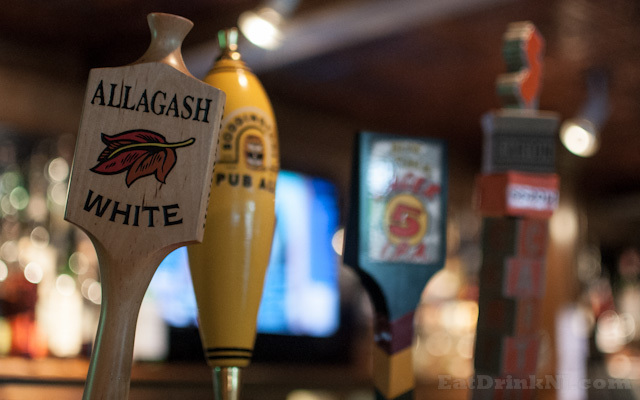 Extensive craft beer selection, and a fun, friendly crowd. By far the best bar in Summit, NJ. Local art for sale on the walls, rotating selection of local craft beers, and THE BEST burger I’ve had in a long time… Located downstairs in the Grand Summit Hotel. Outdoor show on the patio at Riley & Jakes, right on Rt. 31 in Clinton. Duo show at the Chester Publick House, a beautiful brick Inn built in 1810. We’re just 2 weeks away from an awesome event that I’ve been lucky enough to be involved in! Wednesday, April 2nd, The Meyersville Inn will be hosting “Restore the Raptor Trust,” a benefit to help The Raptor Trust raise money to repair cages damaged by storms and heavy snow fall. The night is going to feature a ton of excellent musicians, great food and drink, a silent auction including local wildlife photography, raptor related events, and hand made items. For those who aren’t familiar, The Raptor Trust is a non-profit rehabilitation center for injured birds of prey. They’re located right on the edge of the Great Swamp, a 9000 acre National Wildlife Refuge that is a perfect habitat for many of the species of birds they treat. The RT’s goal is to rehabilitate and re-release every bird they take in, but they also have options for birds who are injured in ways that prevent them from being able to fly or hunt again. Over the years that it has been open, the Raptor Trust has built a compound of cages that house all types of birds of prey; hawks, owls, falcons, even bald and golden eagles. The grounds are open to the public on a daily basis, and provide an up-close look at many species of birds that would never be approachable in the wild. Unfortunately, many of these cages sustained serious damage last fall during a microburst, and many more have suffered under extensive snowfall. The goal of the “Restore the Raptor Trust” benefit is to raise money to help offset the cost of rebuilding, so the Raptor Trust can continue its mission of education and rehabilitation. We hope you’ll join us on April 2nd; The Meyersville Inn will be donating 10% of all sales from the night to the Raptor Trust, so whether you come for the night or just a drink, you’ll be helping increase the amount that we’re able to give. There’s going to be live music from 6 – 9pm featuring me, Andres, Richie, Gary Reed, and a guest appearance by Chris Soucy, director of the Raptor Trust and former lead guitarist for Sally Talyor, daughter of James Taylor. 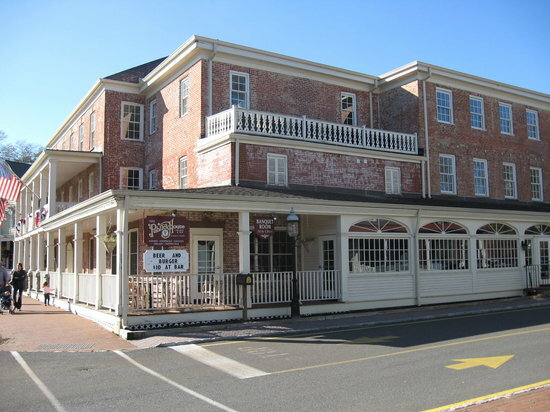 Reservations are recommended as its expected to be busy, the Inn’s number is (908) 647 – 6302. This post may already be old news to a substantial portion of its viewers.. but be that as it may, I’m confident that those who read it will find at least some new shred of information within. For about the last year and a half, I’ve been working on a solo album in addition to playing with Root Glen and doing acoustic gigs. I suppose calling it a “solo” cd is somewhat misleading, as there are a ton of other musicians helping out with it. The “solo” aspect really only applies to the origin and creative direction of the songs. Each track on it comes from a different fragment of song that I came up with over the course of a year or so, and have continued to flesh out with varying amounts of assistance in the form of added instrumentation or verbal criticism. Not only am I lucky enough to be friends with a wealth of talented musicians who are able to play on the album, but also to know a select few willing to listen to tracks as they develop and offer constructive feedback on how they can be improved. As I’ve talked about this project with friends and family, I’ve heard a similar refrain enough times to want to devote a few posts to it: “I could never write a song, I wouldn’t even know how to start..” To be fair, I felt the exact same way a few years ago. I had played music as a hobby for some time, but it wasn’t until shortly after college that I started to take it a little more seriously. I was working at The Gow School (a boarding school for dyslexic boys located just south of Buffalo, NY), and spent many weekends restricted to supervising a dormitory. The guitar found its way into my hands a lot more often, and as I played and let my mind drift, a riff or progression would occasionally emerge and snap my attention back from wherever it had wandered. Over the next few entries, I’m hoping to illuminate how these brief moments of inspiration (sometimes just the right combination of 2 chords) can eventually become a finished song, with one of my own tracks an an example. There are so many different ways to go about that, but rather than try to illustrate a bunch of them, my aim is to do one thing; to show that songwriting doesn’t have to be mysterious, but rather, that it can be incredibly accessible once the components are understood. I hope you guys enjoy getting to learn how this first fragment became a song, and how much fun writing can be once the process is a little more intelligible. Any plans on Wednesday nights for the next year? For almost two years now, I’ve been spending my Wednesday nights at the Meyersville Inn in Gillette, NJ. For those of you who are unfamiliar with it, the Inn is an outstanding Cajun/Creole restaurant right on the border of the 9,000 acre Great Swamp National Wildlife Refuge. They do Cajun food the way its supposed to be done, serve nice big portions (so you can take home lunch for the following day), and have a cozy bar area that I set up and play in between 6 and 9pm. The ambiance there is great, due in a large part to the efforts of the owners. If you come in on a Wednesday, you can expect to meet Patty and Carl, half of the ownership team and two of the friendliest and most genuine people I know. They make an effort to treat everyone who comes through the door like a member of the family, and are the reason that I’ve been playing there for as long as I have. Another truly unique aspect about the Wednesday night shows is their inclusivity. I absolutely love getting people involved in music, and we’ve had the chance to do a lot of that at Meyersville. The range of people that have joined us on the stage has been unbelievable; we’ve had professional musicians from as far away as Edinburgh, Scotland, a member of the NJ Blues Hall of Fame, people who have played all their lives but never performed, some who are just picking up instruments, and even singers as young as 5 years old! Meyersville is one of the only places I know where anyone who is willing to play or sing can do so. Its refreshing to just allow music to be fun, and not taken overly seriously. In fact, its akin to how music has been treated for much of human history. Only in the last 200 years have we decided that music is something to be left to professionals. Before that, everyone played and sang. It was a focal point for family gatherings, a way to have fun, and to create something special together. On Wednesday nights, we’re doing our best to make it like that again, and we’d love to have you come join us. My buddy Dave Tucker and I have put together whats shaping up to be a VERY nice residency for the month of September! Stonehouse has about the nicest outdoor bar I’ve ever been to. Coupling that with their outstanding menu, drink list, and live music is going to make for some pretty special evenings. We hope you’ll stop by to check the place out! For those of you who haven’t heard Dave play before, you can expect “traditional Americana, folk and roots, to pop rock with a little country swagger.” He put out a solo album a few months ago, and just got back from a national tour supporting it. Check out his stuff here.